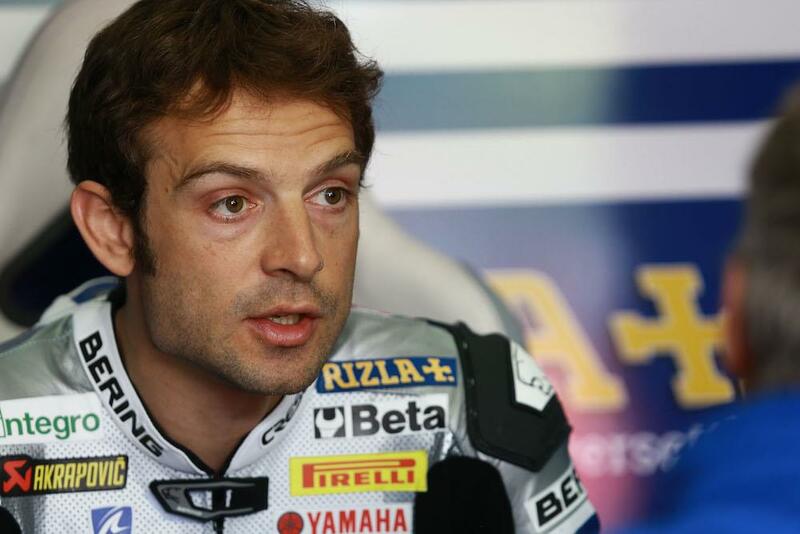 Sylvain Guintoli has confessed he is considering a return to the MCE British Superbike series for 2017. The Frenchman has been left without a seat for next season with his PATA Yamaha team set to confirm Michael van der Mark will take his place alongside Alex Lowes. It’s been a challenging two years for Guintoli since he won the 2014 World Championship with Aprilia. Moving to Yamaha for 2016 to ride the all-new YZF-R1 after a frustrating year with Honda, his season has been hampered by an ankle injury that has seen him out of action since Imola back in May. After four rounds away, Guintoli will return to action at the Lausitzring later next month and will be hoping to make an impression over the final four rounds as he seeks to finalise his future. “It’s been a bit up and down this season,” he said, speaking to MCN in a visit to Cadwell Park British Superbikes. “I was quite happy with how we were getting on with the development of the R1 before the crash in Imola and we were starting to look pretty competitive, so it’s a shame I then had to be out for so long and then there was a two month break which didn’t help either! Guintoli last rode in the British series with Crescent Suzuki in 2009, where he proved to be a championship contender until breaking his leg at Donington Park.